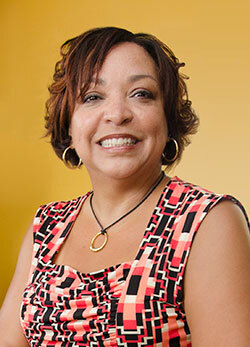 The Rochester Hispanic Business Association, a Rochester Business Alliance affiliate, named Ines Antonetti-Ferrer its 2013 Hispanic Business Person of the Year. Antonetti-Ferrer owns Ines’ Casa de Hair beauty salon on Rochester’s North Goodman Street, where she also serves as the lead stylist. The 2013 Hispanic Business Person of the Year honor is the latest of several awards that Antonetti-Ferrer has received in her 33 years in business. Antonetti-Ferrer split her days in the Rochester City School District between Jefferson High School and Edison Tech to complete her academic studies along with an occupational education. She received a high school diploma and a New York State license in Cosmetology. Other female recipients include Flor Colon in 1997, Tillinghast in 2003, and Jackie Ortiz in 2009. Ines Antonetti-Ferrer receives the Hispanic Business Person of the Year award at the annual RHBA gala luncheon September 24 at the Rochester Riverside Convention Center. From Press Release dated July 23, 2013. Expo: 10:30 a.m. to Noon and 1:30 to 2:30 p.m. Luncheon: Noon – 1:30 p.m.